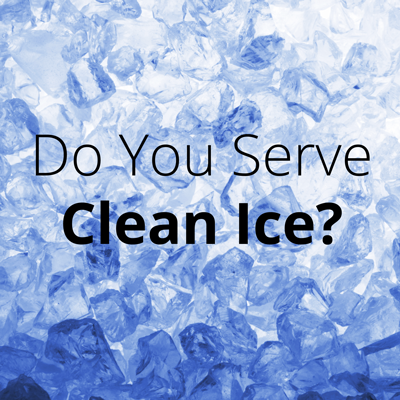 Home › Packaged Ice › Are you Serving Clean Ice? Have you ever made, bought, or served impure ice? Make no mistake – it’s a common occurrence. Poorly-maintained ice machines don’t produce clean products. Packaging ice incorrectly leads to contamination. Above all, it’s important to use clean water to ensure your ice is free from bacteria. Whether it’s packaged or from a machine, ice should be clear, odorless, and tasteless. If not, don’t use it. 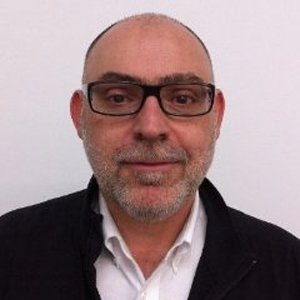 It’s not worth risking customer health and your reputation. This is why your bar or kitchen should only use packages of safe ice and ice machines that produce clean products. Though it’s made by professionals, you can’t trust the quality of all packaged ice. An Australian public health study examined almost 200 ice samples for bacteria and other micro-organisms. A fifth of the packaged ice samples didn’t meet hygiene standards. Though the study is about 15 years old, it still highlights health concerns about ice. It also indicates that water filtration is important when creating clean packaged ice. Companies typically run their water through carbon filters and softeners every month. In some cases, they only do it once per year. It’s important to make sure your ice machine runs smoothly. But if you can’t afford down time for maintenance, consider buying a Hoshizaki ice machine. The brand uses a unique “CleanCycle” design in many of its models. It flushes the reservoir and evaporator throughout the day, washing away impurities. As a result, these machines keep themselves clean while producing high-quality ice. We sell cuber and flaker Hoshizaki ice machines with CleanCycle technology. You can find models that produce anywhere from 282 pounds to 2280 pounds in a day. We also have Kold-Draft ice machines, which produce the cleanest cubes available. This is because they automatically eliminate impurities in water. Each machine has a plate with cells that create individual ice cubes. Water circulates in the cells, eliminating air bubbles and contamination as it freezes. To create a large amount of ice cubes in a day, we recommend the GB 1060. For smaller amounts of pure ice, think about buying the GT 360. We stock these products so your business can serve safe ice, keeping your patrons happy and healthy. We wouldn’t have it any other way. >>You can rely on The Iceman for clean ice. Contact us today to buy packaged ice, an ice machine, or to learn more.